A battery-powered Camaro for even the smallest cruiser in the family. 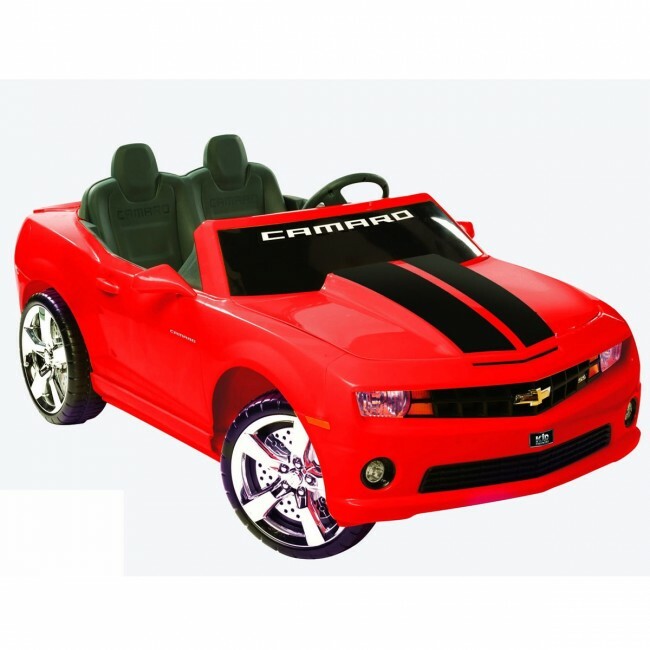 Perfect playtime fun for ages 3-7, this ride-on Camaro features 2 forward speeds (2.5 mph & 5.0 mph) plus 1 reverse (2.5 mph), real working FM radio, realistic car sound effects, MP3 plug-in with speaker, and chrome hubcaps. Rechargeable 12V battery with charger included. Maximum load capacity of 130 lbs. Dimensions: 59” x 31” x 23”. Due to weight and size, a flat shipping charge of $97 will apply. Please allow 10-14 business days for delivery.